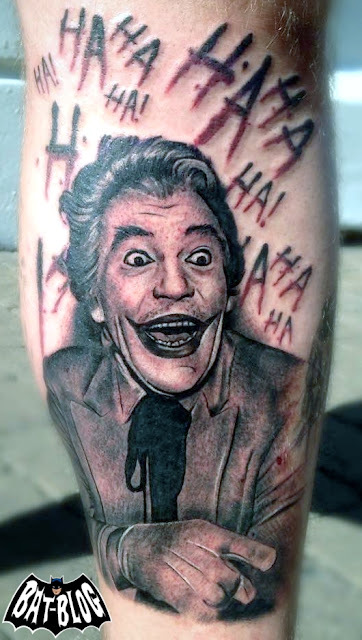 Stu, a friend of ours over at the BAT-BLOG FACEBOOK Page, just sent us this really great photo showing off his brand-new Batman Tattoo Art. Actually, it's the JOKER from the 1966 TV Series and it looks exactly like the Actor Cesar Romero! This beautiful artwork was done by an Artist named Rich Bayley and we gotta say that he did a very excellent job.